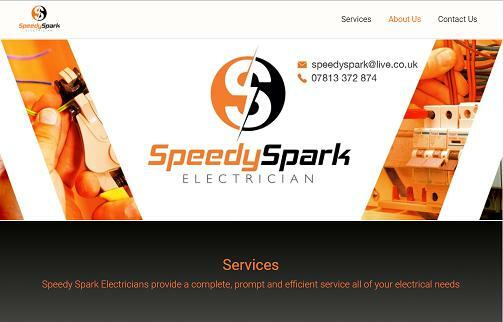 Speedy Spark are your local friendly independent electrical specialists. We provide a high quality, professional service at highly affordable rates. We cover Manchester, Stockport and Greater Manchester. We offer a wide range of services from simple domestic electrical work, to small scale commercial work. Our experience is second to none and we always place emphasis on attention to detail whilst being clean, tidy and safe on site. As certified members of the Electricians Certifications Scheme (ECS), we guarantee our electricians are competent and fully qualified. This membership allows us to display our qualifications at work and on site. If you have any other queries or jobs to discuss, please do not hesitate to get in touch! "the work was done as said and quoted it was very reasonable aswell"
"A full rewire and alarm to my property was done to a high standard and I would recommend speedy spark very highly"
"Always prompt, reliable and extremely professional service from Paul whenever I have needed electrical work doing. Will definitely use again and would recommend to anybody." "Amazing, clean and professional. Moved switches and installed outdoor socket. Very polite and friendly. Couldn’t recommend enough, did such an amazing job I have already booked in for other jobs!"